Perched on the shoulders of Lions Head, this stylish condo sits above Cliftons famous white beaches. Open spaces drink in the light bouncing off the Atlantic Ocean. We embraced a modern, slightly masculine aesthetic with this project. 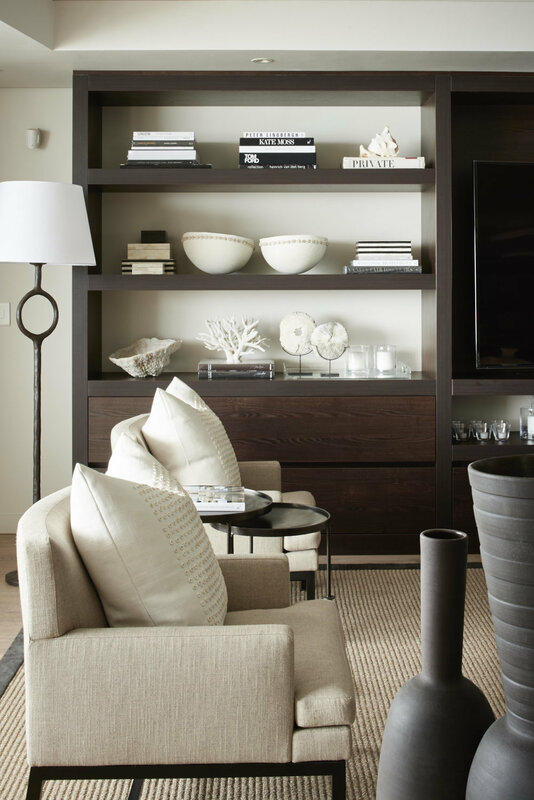 A muted palette is grounded by warm tans, rich tobacco browns and black accents. The word on our lips was Contemporary; meaning of the moment, and what could be more apt for a sanctuary on the Cape Peninsula with expansive views and iconic grey boulders below. African art and accessories add a personal touch to this home and serve to remind one that you are in fact moored and not at sea.